Dina has always had an enthusiasm for skin care. As far back as she could remember she aspired to be a makeup artist and a teacher. Her entire career seems to embrace the beauty industry. After 13 years of managing a marketing company, she returned to her passion. Working in major department stores specializing in men's skin care, she fragrance modeled and was then promoted to Account Coordinator for Ralph Lauren & Giorgio Armani for a few years. When she made her decision to leave, she then became a distributor for a makeup line which took her into the spa. She was inspired and personally motivated to make a difference in the spa industry. By returning to beauty school at the age of 40, she admits having a "vested" interest in anti-aging, while renewing her passion with skin. After Graduating Aesthetic school in 2007, She worked with Eminence at local spa for a year developing her skills while pursuing an opportunity to assist the Regional Trainer of Eminence Organics skin care line and became an educator for the Ohio territory (50 spa's) for almost three years. Her advanced education and experience has progressed her in the industry. Facial Impressions Skin Spa opened its doors in September 2008 and has serviced thousands of clients. She has loyal clientele, and a following for 12+ years and loves what she does. Dina also holds multiple certifications, regularly attends trade shows, and advanced aesthetic classes to keep up with the latest spa trends, products and advanced technologies and education. Amber has been with Facial Impressions for over 5 years. Her commitment is to help her clients have the best skin possible and to help them relax in this hectic world. In addition to skin care, she specializes in Bridal and Special Occasion makeup and body treatments. She worked for a dermatologist for 3 years prior to joining the team at Facial Impressions. Amber loves to take the skin to a new level with peels. her customers love her energetic personality and love for life! She has a great following and her clients love her! She continues to advance her skills by attending Aesthetic trade shows and Educational workshops. Amber works Wednesdays- Saturdays. Chaise is a fresh, new face to the skin care industry. Before entering skin care she studied social work where she learned she has a true dedication to helping people. After deciding to pursue esthetics, she graduated from National Beauty College at the top of her class. She is full of excitement and passion for making people feel beautiful, relaxed, and pampered. She feels it is essential to surround yourself with people and skincare products that are going to make you the best you can be. Outside of the treatment room she enjoys reading, spending time outdoors, and creating memories with her family. She looks forward to meeting you and helping to make your skin healthy and radiant. Denine has a sincere passion for the beauty industry. Combined with her medical background, her focus is the overall health and wellness for both men and women. Energetic and affable, she loves every aspect of skincare, relaxation massage and makeup. 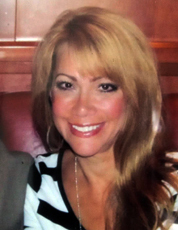 With 5 yrs of experience, she is a great addition to the Facial Impressions team. She has two children and comes from a tight knit family which she loves spending time with. Her hobbies include music, dancing, gardening and animals. She works part- time, on call and special events.